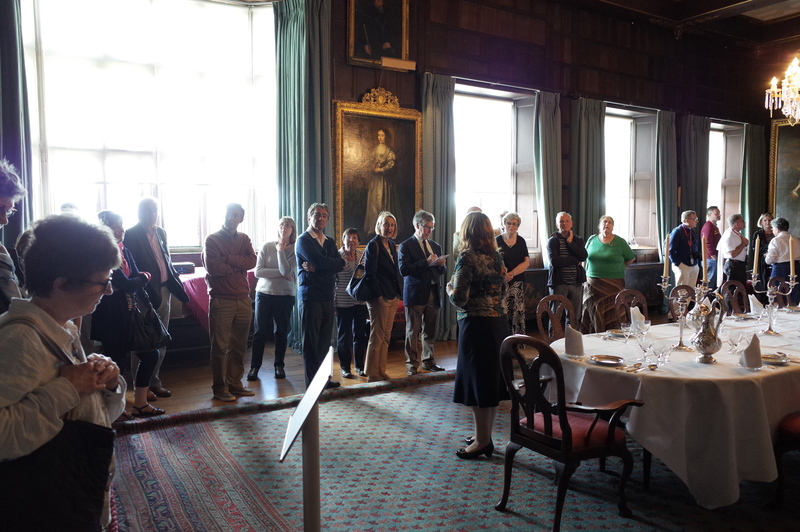 Halkirk Games – WE WANT YOU! 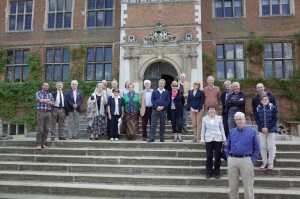 Head Gardner Alistair Gunn (far left) with our group. 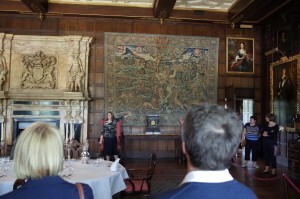 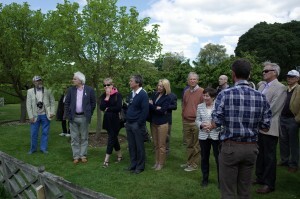 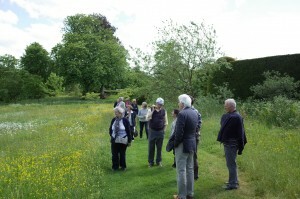 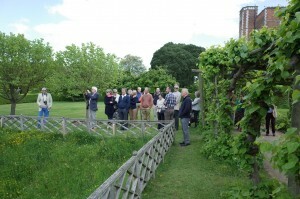 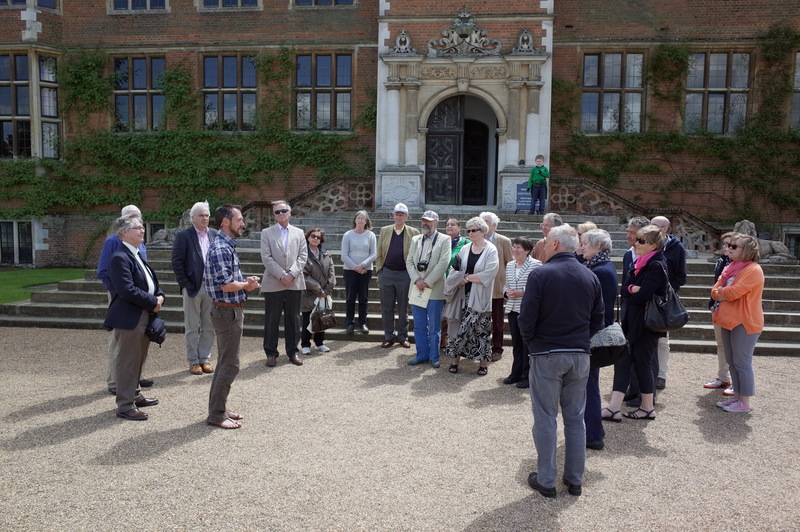 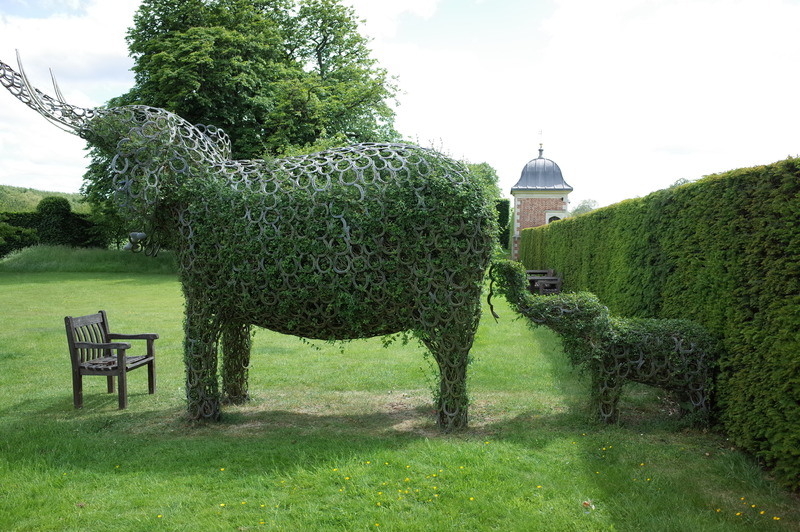 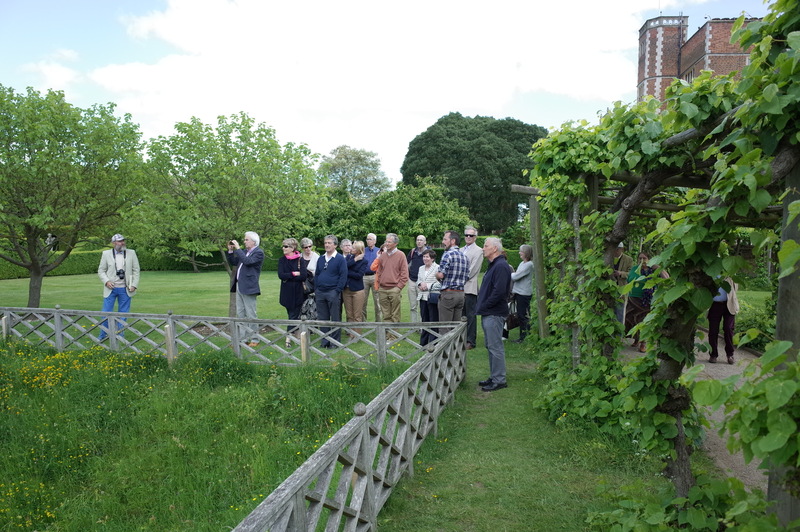 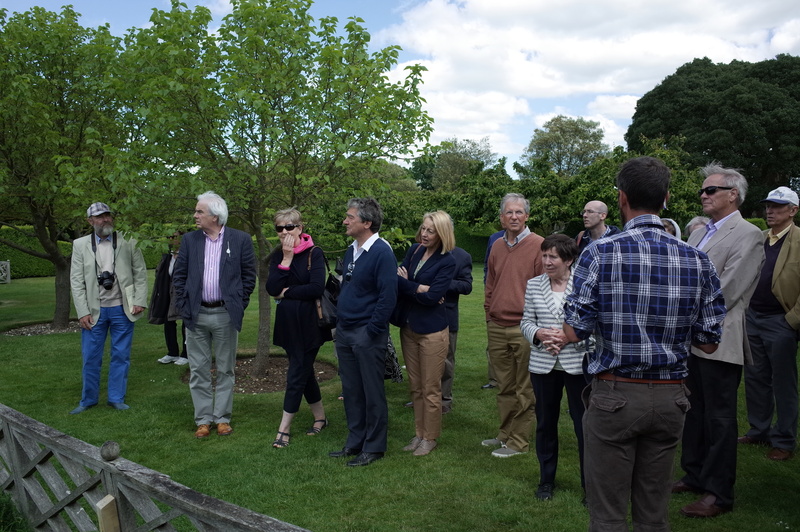 A very enjoyable visit to Hatfield House and garden was attended by over 20 members on the 6th June 2015. We were first taken on a fascinating tour of the house: our guide (Lyn) had an encyclopedic knowledge of the families who had lived in the house over the centuries. 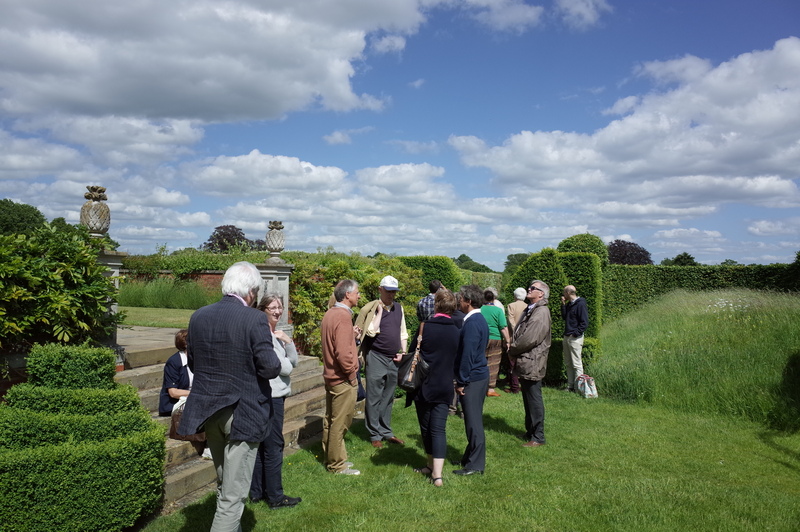 After lunch in the excellent cafe / bistro we were then taken on a guided tour of both the West and the East garden by head gardener Alistair Gunn. Hatfield House is one of England’s finest Jacobean houses. 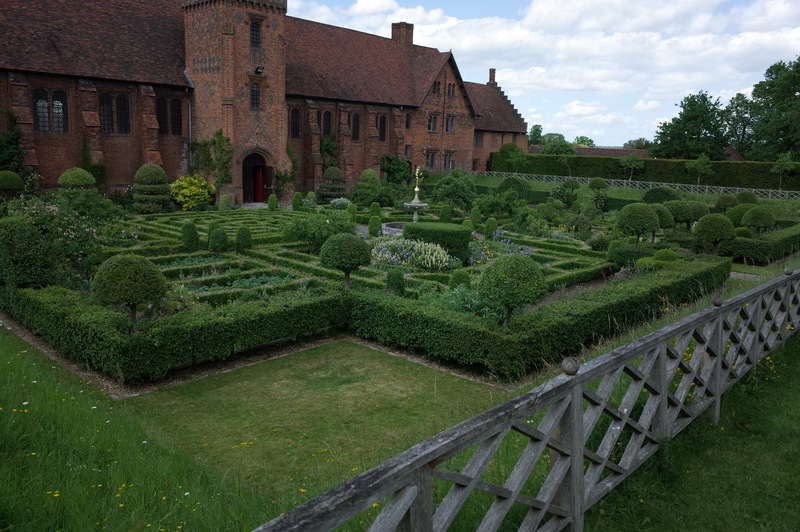 Built between 1607 and 1611 by Robert Cecil, 1st Earl of Salisbury and chief minister to King James I, it has always been in the Cecil family and is now occupied by the Marquess of Salisbury. 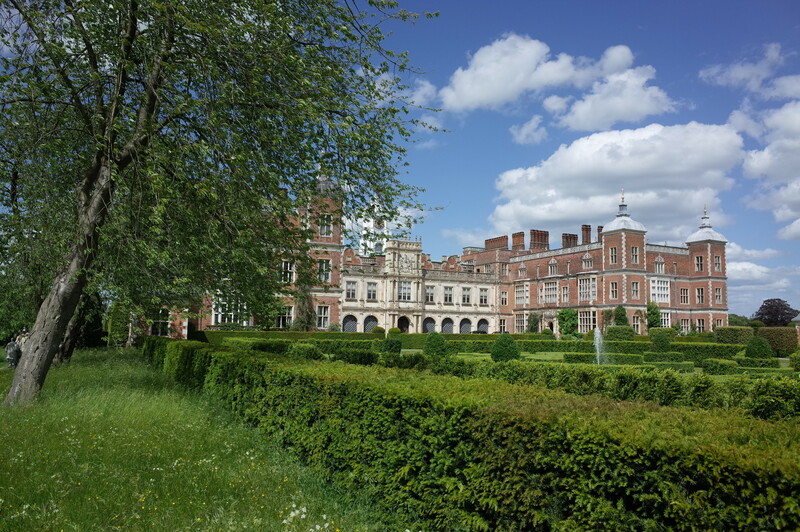 Elizabeth I spent most of her childhood in the Royal Palace of Hatfield and it was here that she learnt of her accession to the throne. The house contains many objects associated with the Queen including the ‘Ermine Portrait’ by Nicholas Hilliard. 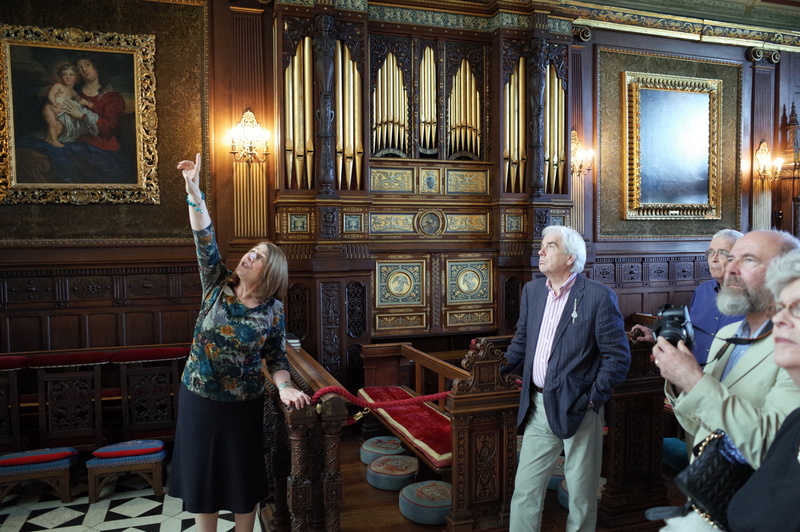 There are also many original Jacobean features such as an ornately carved wooden staircase and a rare stained glass window in the private chapel. The House was designed by Robert Lyminge and the interior decoration was the work of English, French and Flemish craftsmen. 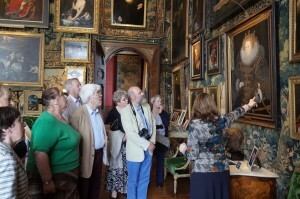 The magnificent State Rooms include a historic armour of interest as well as display many famous paintings including The Rainbow Portrait of Elizabeth I painted by Issac Oliver in around 1600; and the splendid Four Seasons Tapestries, that date from the 17th century. 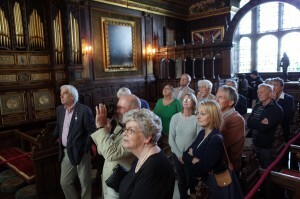 The two-storeyed Marble Hall has oak panelling and a minstrels’ gallery. 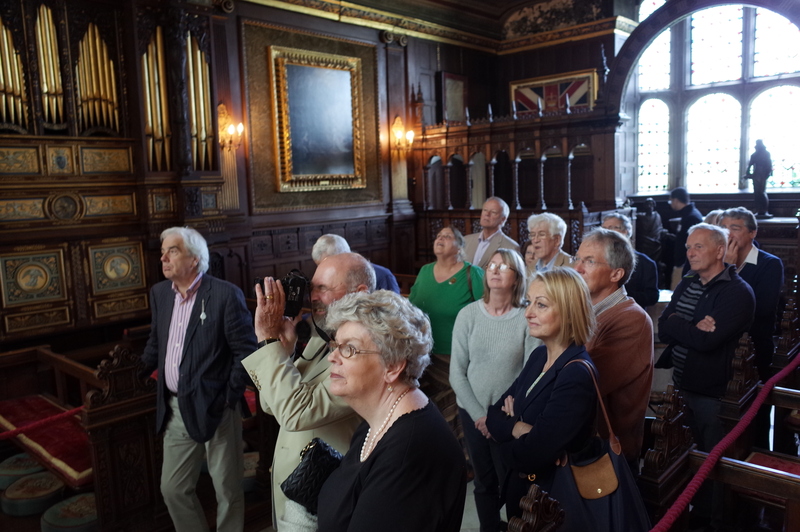 The armoury displays historic armour including some taken from the men of the Spanish Armada. 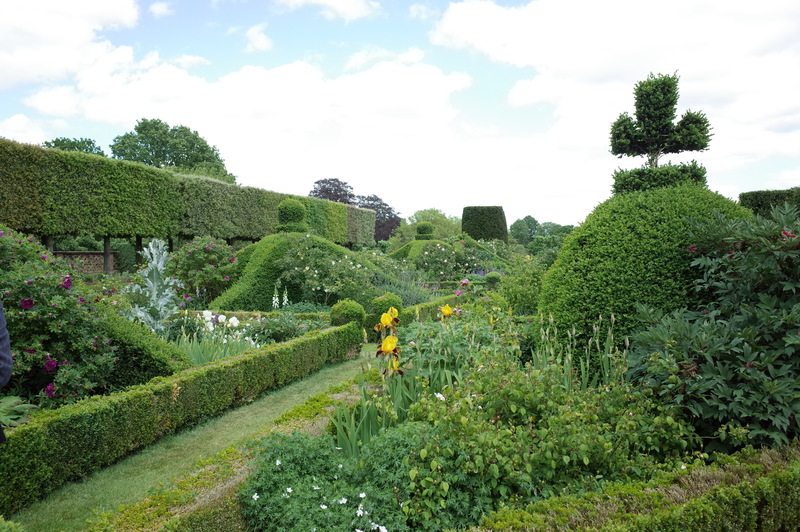 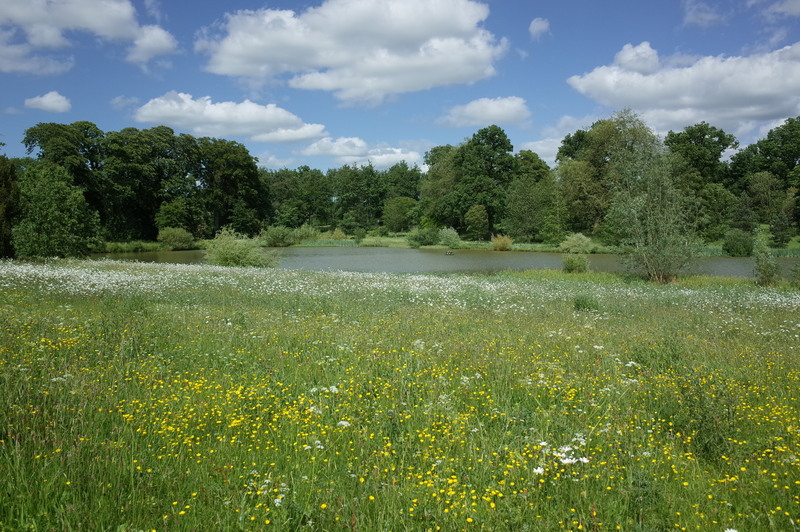 The 42 acres of gardens were first developed in the early 17th century by John Tradescant the Elder who went to Europe to bring back trees, bulbs, plants, and fruit trees new to England. The gardens include orchards, fountains, scented plants, water parterres, terraces, herb gardens and a foot maze. 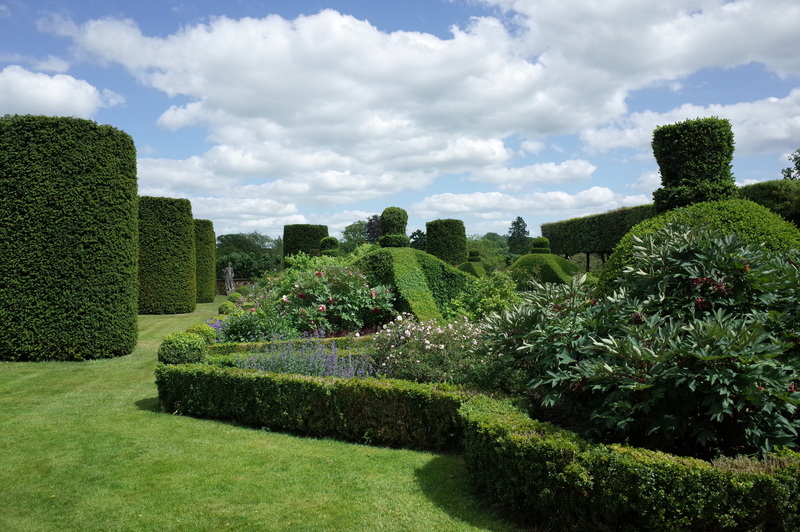 In Victorian times restoration of the gardens was begun after a period of neglect and still continues today under the present marchioness. 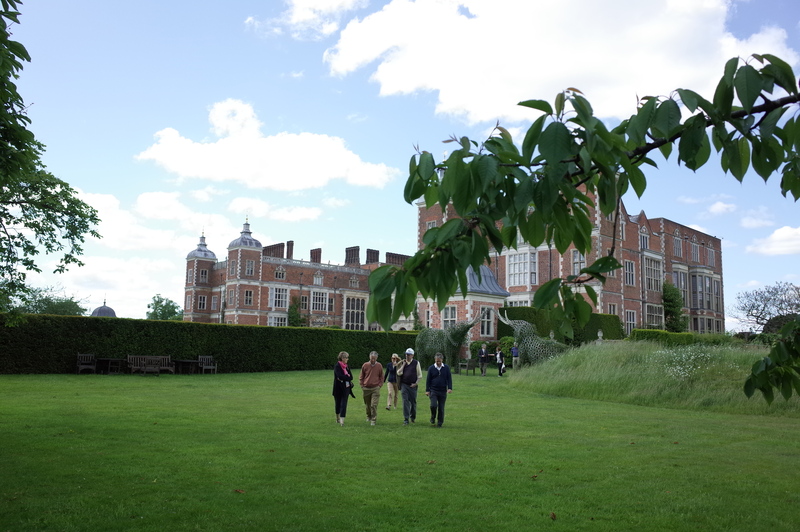 At this early summer time of the year, the weather promises settled sunny days with the fine-looking Hatfield House being particularly welcoming and interesting and the attractive gardens are bright and blooming. 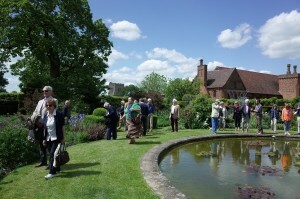 This should add up to what should be a memorable venue for Clan families and friends to meet and catch up. 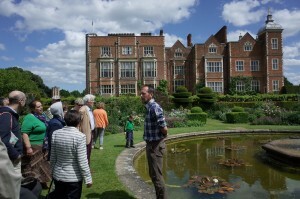 Yes there is something for everyone. 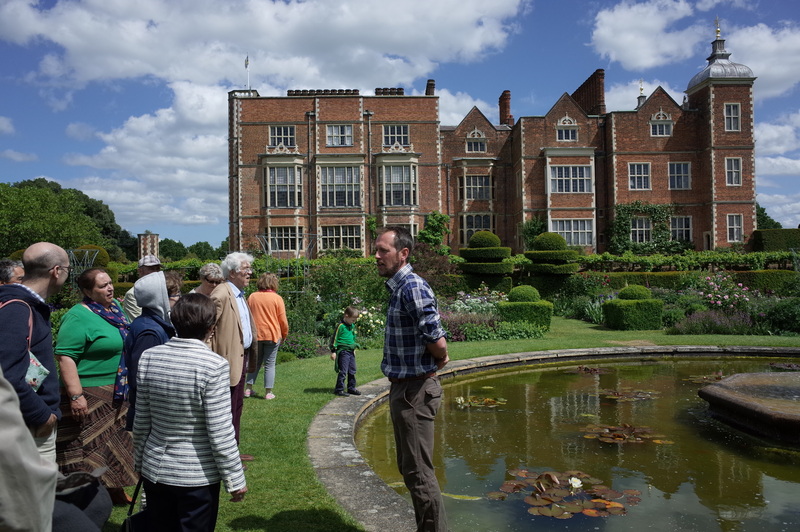 We start the day with a one-hour guided tour of the house, with so much of fascinating and historical interest; then lunch followed by plenty of time to take an enjoyable stroll around the gardens with Alastair Gunn, Head Gardener, in attendance to discuss matters of interest. 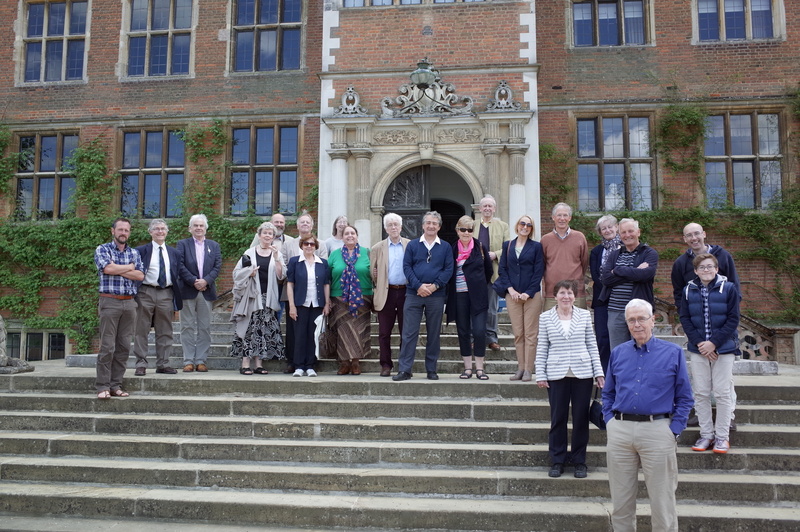 Just found out about your Society for the Gunn Clan. I am so excited to learn of this. I will now browse thru’ your website and get some more info. 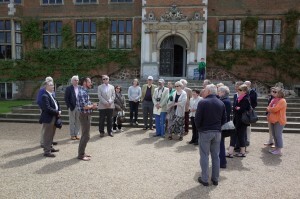 Have you decided what date is the visit to Hatfield? I live in Barbados and would like to attend so may have to do so way in advance. .. in which case you’re perfectly entitled to call yourself a member of Clan Gunn. Congratulations!